Practicing random acts of kindness is emotional nourishment and elevates both the giver’s and receiver’s psychological health. When we practice random acts of kindness, we just feel better about ourselves as do the recipients of our acts which then makes them more likely to be kind and helpful to other people, too. That’s the pay-it-forward effect, and it turns out viewing images of superheroes can actually contribute to it. And what better time to think about helping, heroic or otherwise, than during Random Acts of Kindness Day on Sunday, February 17 and Random Acts of Kindness Week which begins Monday, February 18. 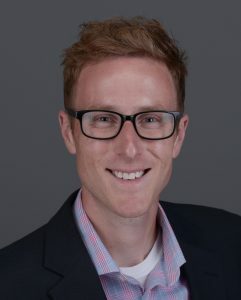 New research by Dr. Daryl Van Tongeren, associate professor of psychology, several Hope College students, and colleague Dr. Jeffrey Green of Virginia Commonwealth University have found that when people are exposed to images of superheroes, they were more likely than others to engage in altruistic behavior. The findings of their study were recently published in Frontiers in Psychology, and it reveals that even subtle activation of superhero stimuli increases prosocial intentions and behavior. Van Tongeren conducts research on the social motivation for meaning in life, the function and nature of religious beliefs, and the relationship-enhancing features of virtues, such as humility and forgiveness. His Meaning, Religion and Virtues Lab at Hope investigates why people search for meaning and how that search may, or may not, result in moral behavior.